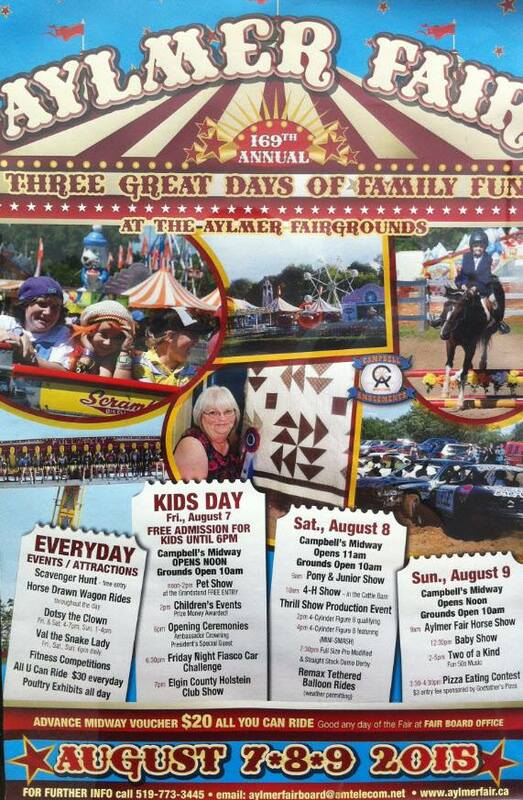 The Aylmer Fair runs every August. Aylmer Fair is a non-profit society run by the OAAS (Ontario Association of Agricultural Societies). They are celebrating their 169th year as an agricultural fair, and are the oldest agricultural fair in District 13. There is something for all ages at this fair and hope you will attend! More information can be found here.